The majority of injuries to children are caused by car wrecks, cars hitting children, pool drownings, and poor supervision and/or abuse by a teacher, school, daycare, babysitter, or nanny. Other frequent causes of injuries to children include dangerous conditions on someone’s property, such as unmarked wells, unsafe stairs, or an unbarricaded sink hole. Learning that your child has been injured is every parent’s worst nightmare. Usually the last thing on their mind is whether they should get an attorney. Instead, the focus is exactly where it should be – getting the child the best medical care possible to help the child toward the best recovery possible. At some point during the healing process, parents usually ask themselves and each other whether they should get a lawyer. This can occur when the insurance company starts talking about money or settlement, when medical treatment is denied to the child, when the medical bills start to pile up, when the parents feel like they have not been told the whole story as to how or why their child was injured, or when the parents learn that they are required to go in front of judge before they can settle their child’s personal injury case.  If your child has been injured and you would like to speak with a lawyer, please call the Austin Bradley Law Office. We offer a free consultation, and if you decide to hire us to represent you and your child, you will owe us nothing unless we make a financial recovery in the case.